Found 2 file extension associations related to GoodSync and 2 file formats developed specifically for use with GoodSync. 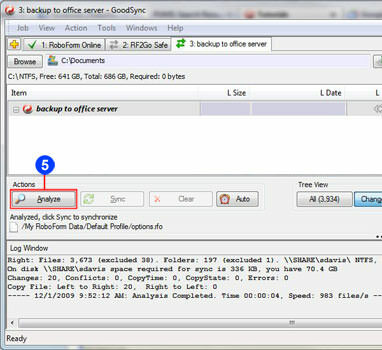 GoodSync synchronizes and backs up files such as photos, financial documents, MP3s, e-mails between desktops, laptops, servers, mobiles, external drives, FTP servers and common cloud storage services without keeping files somewhere in the cloud. GoodSync is available for Windows, OS X and also for main mobile OS platforms iOS and Android. If you need more information please contact the developers of GoodSync (Siber Systems, Inc.), or check out their product website.